Restaurant owner has adorned the walls with characters from ‘The Matrix’ film in a bid to entice customers. Some things are born to go together: Cheese and pickle, fish and chips, peanut butter and jelly, pancakes and...The Matrix. 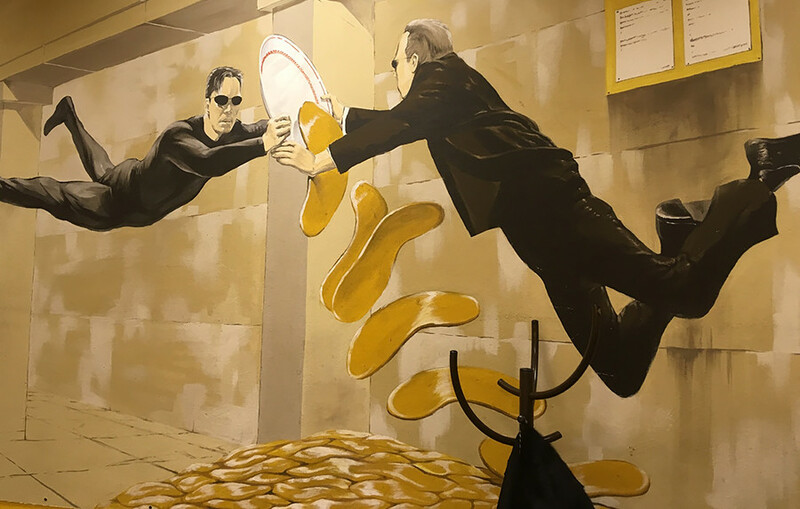 Customers of a pancake restaurant in the Russian city of Perm can now enjoy their crepes with characters from the cult sci-fi film franchise, Neo and Agent Smith. 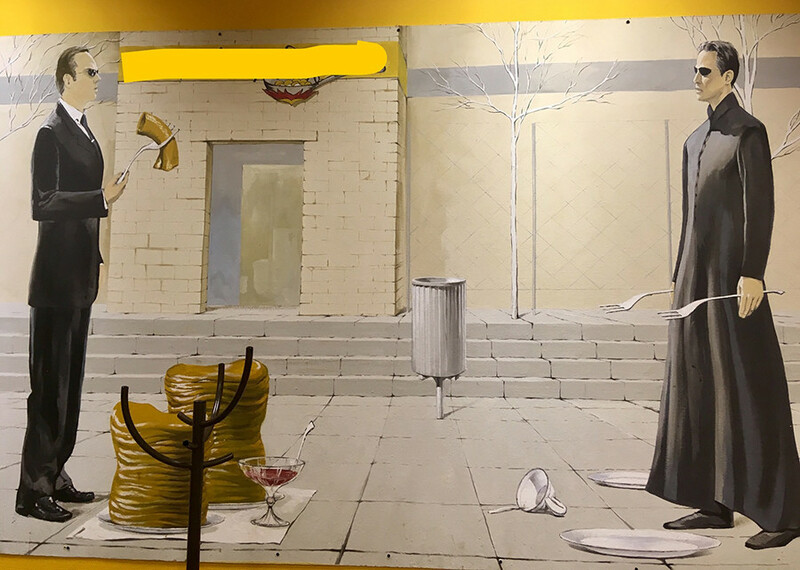 In fact, the pancakes are so good at this particular joint that the two can be seen fighting over them. Do you know pancakes can be made out of beer? Have a look at these unusual pancake recipes.